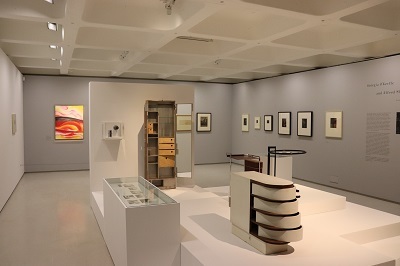 Barbican Art Gallery presents Modern Couples: Art, Intimacy and the Avant-garde: the first exhibition to explore the creative output resulting from the exclusive or polyamorous relationships between artist couples in the first half of the 20th Century. 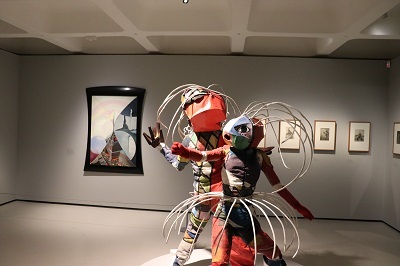 The exhibition includes the work of painters, sculptors, photographers, architects, designers, poets, writers, musicians, dancers and performers. 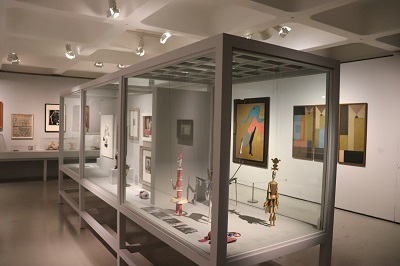 Underlying the exhibition is the history of modern art often defines artists as a solitary genius. Modern Couples suggest that it is often the relationships between creative individuals that are important to understand how artists reshape art, redefine gender stereotypes and create new ways of working and living together. The exhibition features around 30 principal artist couples, with exhibits drawn from public and private collections in Europe, North America and Russia. Some of the couples featured are Camille Claudel and Auguste Rodin; Frida Kahlo and Diego Rivera; Gabriele Münter and Wassily Kandinsky; Varvara Stepanova and Alexander Rodchenko; Virginia Woolf and Vita Sackville-West; Eileen Gray and Jean Badovici; Lee Miller and Man Ray; Barbara Hepworth and Ben Nicholson; Dora Maar and Pablo Picasso. 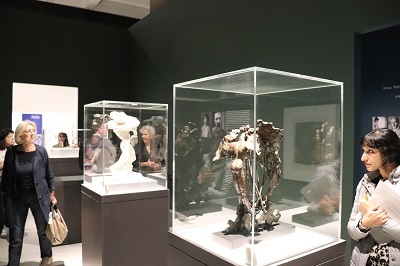 It quickly become obvious as you walk through the exhibition that the relationships between the various couples are often complex depending on a number of factors. Camille Claudel and Auguste Rodin; Barbara Hepworth and Ben Nicholson and Frida Kahlo with Diego Rivera illustrate that often within couples there are two artists both trying to make their own names in the art world. Other relationships are complicated by a complex network of interactions, the Bloomsbury set included Vanessa Bell, Roger Fry, Duncan Grant, Leonard Woolf and Virginia Woolf. The marriages and complicated affairs among the individual members of the group led to a number of artistic collaborations. 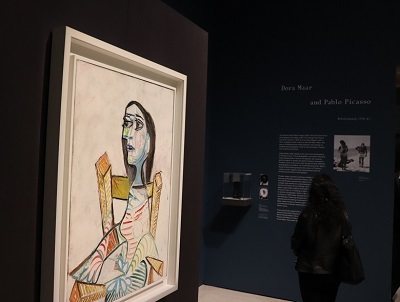 Often relationships could be abusive like famous couples, Frida Kahlo and Diego Rivera; Dora Maar with Pablo Picasso and Lee Miller’s relationship with Man Ray. 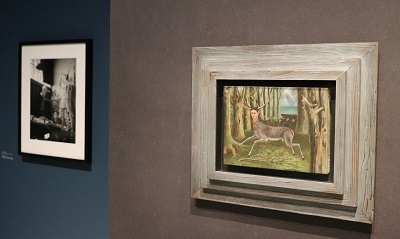 One of the highlights of the exhibition is the inclusion of Kahlo’s powerful and rarely seen painting The Wounded Deer (1946). 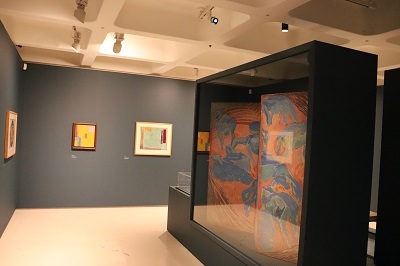 The exhibition also reveals some lesser-known aspects of famous artists’ works, Gustav Klimt’s relationship with Emilie Flöge had mutual benefits. 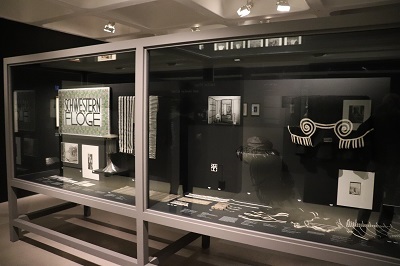 Flöge who ran her own couture house, the Schwestern Flöge in Vienna and the exhibition features Klimt’s photographs of Flöge modelling her dresses. 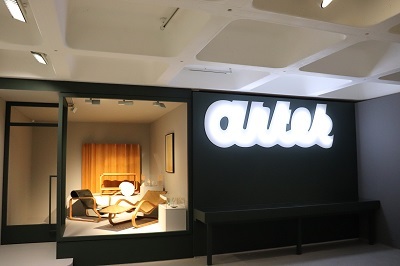 ‘Simultaneism’ developed in tandem by Sonia Delaunay and Robert Delaunay and Aino Aalto and Alvar Aalto developed Artek, a design company and showroom they opened in Helsinki in 1935. This fascinating exhibition provides plenty of evidence that relationships are often at the centre of the creative process in all their complexity. It also illustrates that often artists are seen by wider society as bohemians which often allows them transgressing the constraints of their time forging new ways of living and loving. However there is often a dark side to this ‘freedom’, although many of the relationships had positive mutual benefits, a number of these relationships ended with tragic consequences. By londonvisitors2014 in Exhibitions on October 9, 2018 .